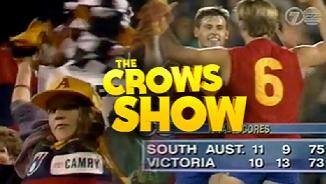 Bring back the AFL State of Origin? 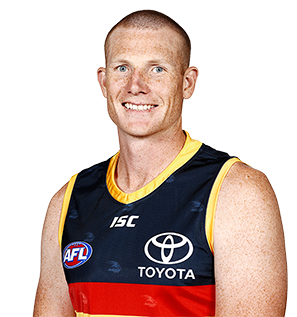 Selected in the All Australian squad of 40 and recognised with fourth place in the Crows Club Champion award after another consistent season in 2017. The reliable ruckman played every game, topping the AFL for hit-outs and finishing level with Giants ruckman Shane Mumford for hit-outs to advantage at the end of the minor round. He averaged a career-high 40 hit-outs per game to go with 15 disposals, four marks and three clearances. Jacobs recorded a career-high 74 hit-outs against Melbourne in Round Eight. He also set a new personal best for disposals (26) against Richmond in Round Six. Joined elite company in winning his third Showdown Medal with two goals, 42 hit-outs and 12 touches against All Australian ruckman Paddy Ryder in Round 20. The durable big man led the Crows’ ruck department again in 2016 and continued to enhance his reputation as one of the best in his position. Gave his teammates first-use more often than not, finishing fourth in the competition for hit-outs (703) and fifth in hit-outs to advantage (202). Also showed his ability to win the ball around the ground, ranking second in the League among ruckmen for kicks (176). Continued to develop his offensive work to boot a career-best eight goals for the season. An ankle injury late in the year ended an impressive streak of 93 consecutive games but Jacobs was able to return to feature in the Club’s finals series. Cemented his position as one of the game’s premier ruckmen in 2015. Jacobs played every game of the season and finished third in the League for hit-outs and hit-outs to advantage. 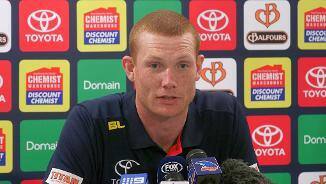 His total of 859 hit-outs is an Adelaide Football Club season record. While dominating in the ruck, Jacobs continued to provide an option around the ground and averaged 15.4 possessions per game. 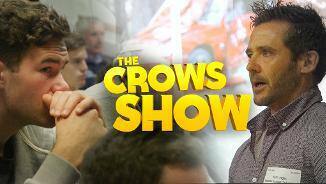 He finished fourth in Adelaide's best and fairest count and signed a new long-term contract that will seem him most likely finish his career as a Crow. Returns to the senior leadership group in 2016. Jacobs was unlucky to miss out on All-Australian selection after being named in the squad of 40 for the second time in three years. The influential big man, who played all 22 games, was the No.1 ruckman according to Champion Data Rankings in 2014. He led the AFL in hit-outs to advantage (257); collected more disposals (358); took more marks (90) and generated more rebound 50ms than any other dedicated ruckman. Finished equal-fourth in the Crows Club Champion award and celebrated his 100th game in Round 19. Jacobs played every game in 2013, shouldering the majority of Adelaide’s ruck duties. While he didn’t reach the heights of his brilliant 2012 season, the 202cm Crow still ranked third in the AFL for hit-outs (622) and hit-outs to advantage (187). Included in the senior leadership group for the first time in 2013. Unlucky to miss out on All-Australian selection, Jacobs established himself as one of the premier ruckmen in the competition in 2012. The former Carlton rookie took the lion’s share of Adelaide’s ruck contests, missing only one match, and leading the competition in hit-outs to advantage. Jacobs, who notched up his 50th game during the season, had a record 61 hit-outs against Port Adelaide in Round 15 – a performance which earned him the Balfours Showdown Medal for best on ground. Adelaide targeted the ex-Carlton recruit in the 2010 trade week and the move reaped instant rewards. After overcoming a pre-season hamstring complaint, Jacobs made his Crows debut in Round Five and quickly established himself as the Club’s No.1 ruckman, holding his place for the rest of the season. The former rookie added impetus to Adelaide’s midfield and also created a presence around the ground. He ranked fifth in the AFL for hit-outs, averaging 32 per game and with only 36 games of experience has enormous upside.